Alice Miller is an Associate Professor (Adjunct) of Law at Yale Law School and the Co-Director of the Global Health Justice Partnership. She is also an Assistant Clinical Professor in the Yale School of Public Health and a Lecturer in Global Affairs at the Jackson Institute for Global Affairs at the Whitney and Betty MacMillan Center for International and Area Studies. Alice Miller is an Associate Professor (Adjunct) of Law at Yale Law School and the Co-Director of the Global Health Justice Partnership. She is also an Assistant Clinical Professor in the Yale School of Public Health and a Lecturer in Global Affairs at the Jackson Institute for Global Affairs at the Whitney and Betty MacMillan Center for International and Area Studies. 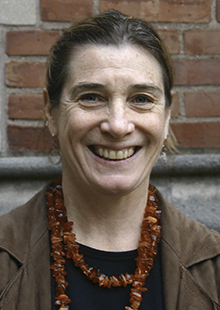 An expert in gender, sexuality, health and international human rights, Miller previously taught at the University of California, Berkeley School of Law, where she was faculty director of the Women’s Institute for Leadership Development, and at Columbia University, where she was co-director of the Center for the Study of Human Rights. She holds a B.A. from Harvard and a J.D. from University of Washington School of Law.